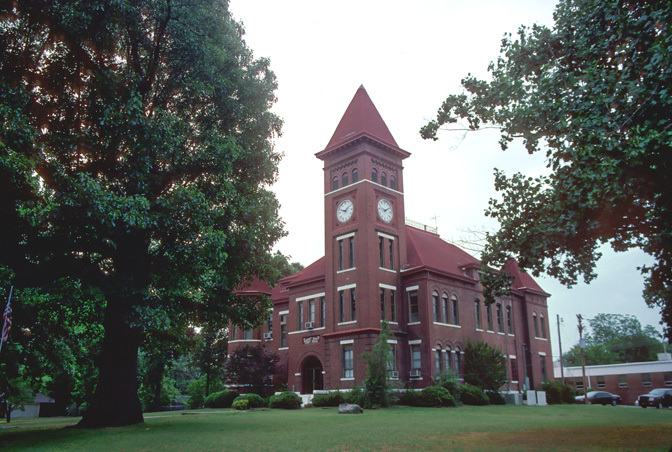 Woodruff County is a county located in the U.S. state of Arkansas. As of 2010, the population was 7,260. The county seat is Augusta. Woodruff County is Arkansas's 54th county, formed on November 26, 1862, and named for William E. Woodruff, founder of the state's first newspaper, the Arkansas Gazette. According to the 2000 census, the county has a total area of 594.05 square miles (1,538.6 km2), of which 586.56 square miles (1,519.2 km2) (or 98.74%) is land and 7.49 square miles (19.4 km2) (or 1.26%) is water. As of the census of 2000, there were 8,741 people, 3,531 households, and 2,439 families residing in the county. The population density was 15 people per square mile (6/km²). There were 4,089 housing units at an average density of 7 per square mile (3/km²). The racial makeup of the county was 67.86% White, 30.75% Black or African American, 0.23% Native American, 0.07% Asian, 0.10% Pacific Islander, 0.17% from other races, and 0.81% from two or more races. 0.79% of the population were Hispanic or Latino of any race. There were 3,531 households out of which 30.90% had children under the age of 18 living with them, 48.60% were married couples living together, 16.70% had a female householder with no husband present, and 30.90% were non-families. 28.20% of all households were made up of individuals and 14.20% had someone living alone who was 65 years of age or older. The average household size was 2.44 and the average family size was 2.97. In the county the population was spread out with 26.00% under the age of 18, 8.40% from 18 to 24, 24.50% from 25 to 44, 24.40% from 45 to 64, and 16.70% who were 65 years of age or older. The median age was 38 years. For every 100 females there were 89.20 males. For every 100 females age 18 and over, there were 84.90 males. The median income for a household in the county was $22,099, and the median income for a family was $27,824. Males had a median income of $24,051 versus $17,995 for females. The per capita income for the county was $13,269. About 21.70% of families and 27.00% of the population were below the poverty line, including 38.10% of those under age 18 and 27.00% of those age 65 or over. Townships in Arkansas are the divisions of a county. Each township includes unincorporated areas and some may have incorporated towns or cities within part of their space. Townships have limited purposes in modern times. However, the US Census does list Arkansas population based on townships (often referred to as "minor civil divisions"). Townships are also of value for historical purposes in terms of genealogical research. Each town or city is within one or more townships in an Arkansas county based on census maps. The townships of Woodruff County are listed below with the town(s) and/or city that are fully or partially inside them listed in parentheses. ^ US Census Bureau. 2011 Boundary and Annexation Survey (BAS): Woodruff County, AR (Map). http://www2.census.gov/geo/pvs/bas/bas11/st05_ar/cou/c05147_woodruff/BAS11C20514700000_000.pdf. Retrieved 20110824. This page uses content from the English language Wikipedia. The original content was at Woodruff County, Arkansas. The list of authors can be seen in the page history. As with this Familypedia wiki, the content of Wikipedia is available under the Creative Commons License.